Carolina Herrera spring collection 2015. Off shoulder silk ivory ball gown wedding dress with lace bodice and three-quarter sleeves. An absolute magnificent unique elegant gown. 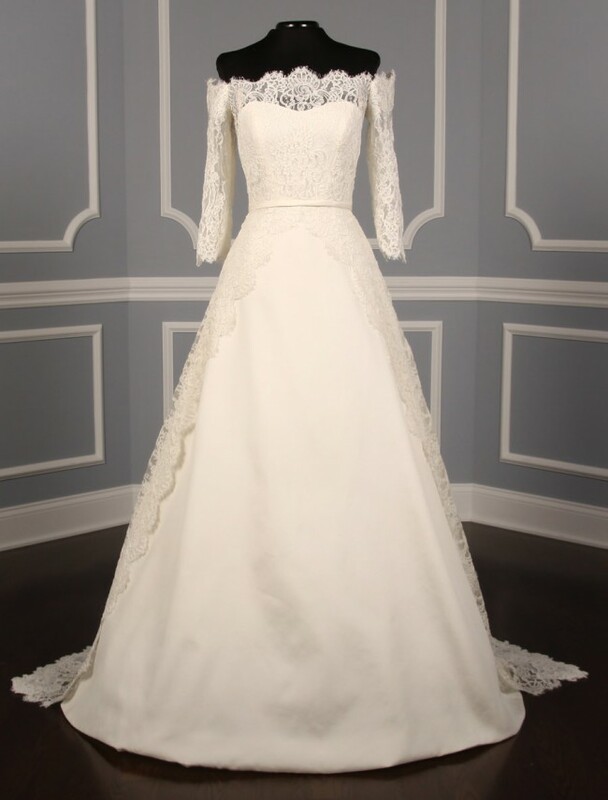 The dress is made from silk with a delicate French lace bodice which flows down to the back of the gown. The train can be bustled up with two different looks for the reception and later on dancing. Never worn, absolutely new. With tags. Final Sale.